Dimensions 1.50 by 6.50 by 9.50 in. Authors, Scottish; 19th century; Biography. Authors, Scottish; 20th century; Biography. A comprehensively researched account of the life of the creator of Sherlock Holmes, shows how Sir Arthur Conan Doyle, beginning as a small-town doctor, became a friend to the famous, a celebrated writer, and a psychic investigator. 12,500 first printing. This fresh, compelling biography examines the extraordinary life and strange contrasts of Sir Arthur Conan Doyle, the struggling provincial doctor who became the most popular storyteller of his age. From his youthful exploits aboard a whaling ship to his often stormy friendships with such figures as Harry Houdini and George Bernard Shaw, Conan Doyle lived a life as gripping as one of his adventures. 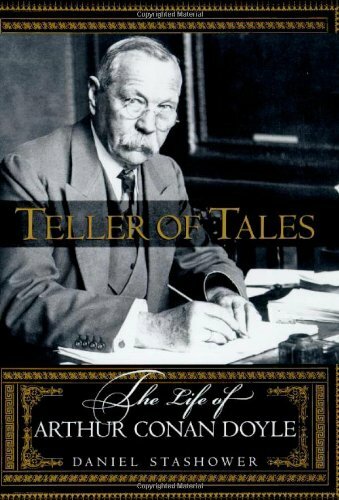 Exhaustively researched and elegantly written, Teller of Tales sets aside many myths and misconceptions to present a vivid portrait of the man behind the legend of Baker Street, with a particular emphasis on the Psychic Crusade that dominated his final years-the work that Conan Doyle himself felt to be "the most important thing in the world." About: A biography of the creator of Sherlock Holmes shows how Sir Arthur Conan Doyle, beginning as a small-town doctor, became a friend to the famous, a celebrated writer, and a psychic investigator.